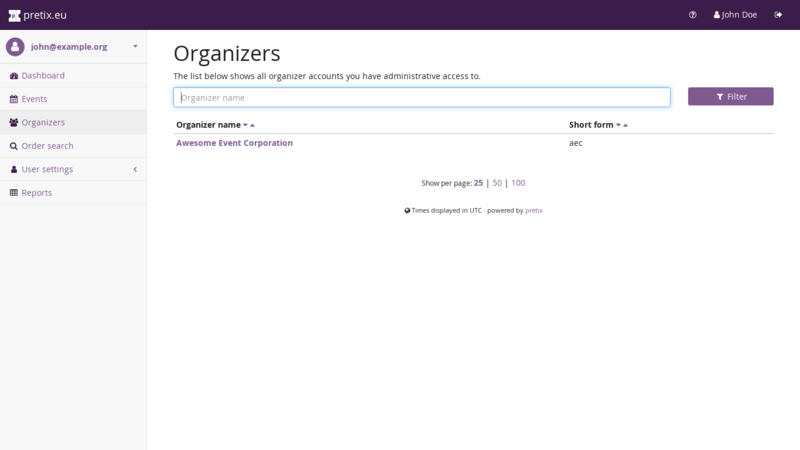 The basis of all your operations within pretix is your organizer account. It represents an entity that is running events, for example a company, yourself or any other institution. Every event belongs to one organizer account and events within the same organizer account are assumed to belong together in some sense, whereas events in different organizer accounts are completely isolated. 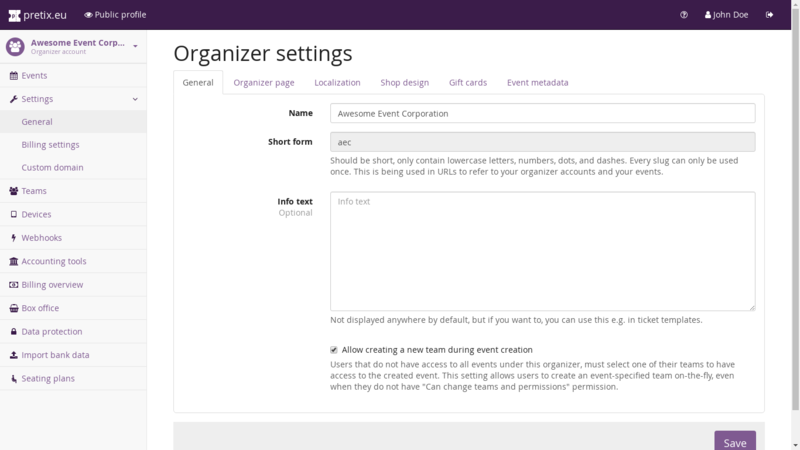 If you want to use the hosted pretix service, you can create an organizer account on our Get started page. Otherwise, ask your pretix administrator for access to an organizer account. The profile page will be shown as https://pretix.eu/slug/ where slug is to be replaced by the short form of the organizer name that you entered during account creation and pretix.eu is to be replaced by your installation’s domain name if you are not using our hosted service. 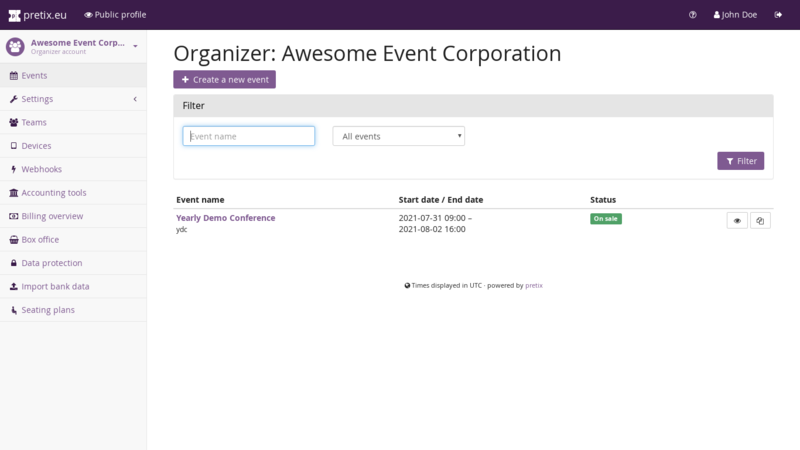 Instead, you can also use a custom domain for the profile page and your events, for example https://tickets.example.com/ if example.com is a domain that you own. Head to Using a custom domain to learn more.